Weight: 21.8 lbs Sizes: 9'6", 10'6", 11'6"
About the board: The Air Glide Flow from SIC Maui is an inflatable, all-around board, perfect for beginner paddlers and is at an affordable price point under $1,000. The board has a very clean look and takes a simplistic approach with graphics and colors. The packaging that the board comes in is stunning and has a very high-quality, premium feel to it. The board is lightweight thus making it easy to carry and has FCS II tool-less fin compatibility giving it a great value for its price. 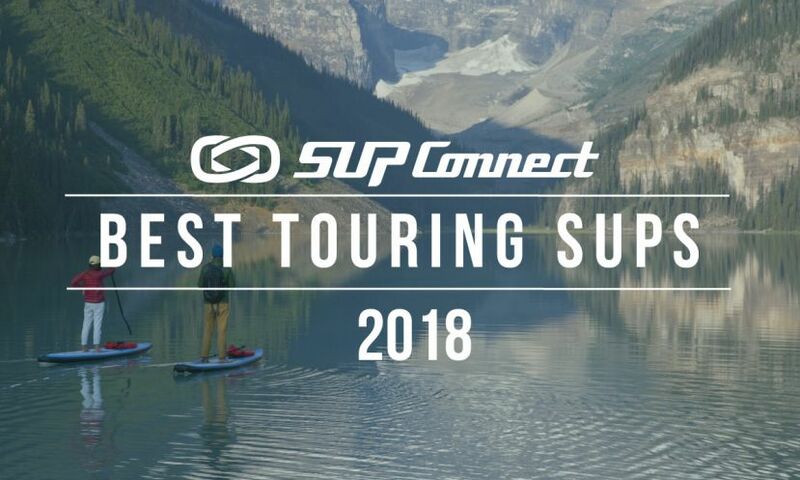 The high-quality packing and materials combined with the premium look and feel make the board merit the Supconnect “A” grade. Read more HERE. 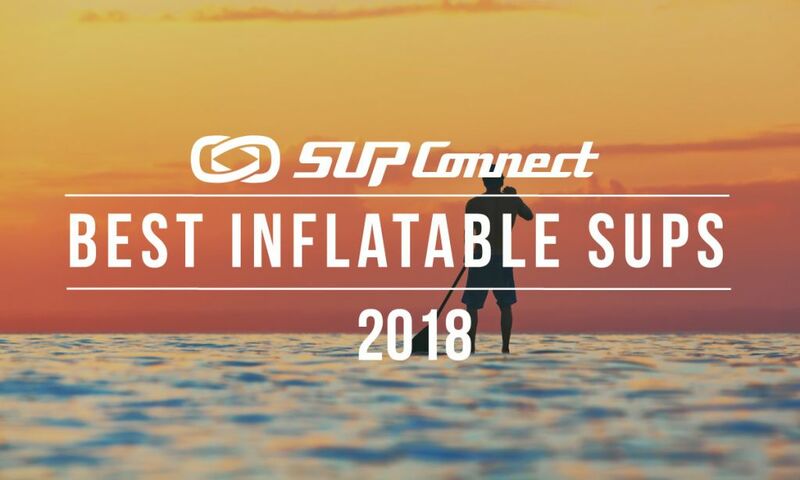 About the board: Slingshot’s Crossbreed Inflatable is a stable, beginner-friendly board great for all-around paddling and/or short-distance touring. The Crossbreed has some nice looks, coming with a solid yellow throughout most of the board keeping it simple and striking. (The board is also offered in three other colors: Blue, Red, and Green.) At a very affordable price point the Crossbreed has premium qualities to it coming with a nice carrying bag, strong dual-action pump and FCS II fin, among other items, easily making this board a great value for its price and deserving of Supconnect’s “A” grade. Read more HERE. Weight: 18.9 lbs Sizes: 11', 11'3", 12'6"
About the board: The Sport from Red Paddle Co. is an inflatable touring board that works for paddlers of all skill levels. The board has a very clean look to it with minimal colors and graphics keeping it very simple and clean. The construction appears very strong, as something that can handle heavy use. The board is very stable and very lightweight and is great for paddling mid to long-distances, between 3-10 miles. 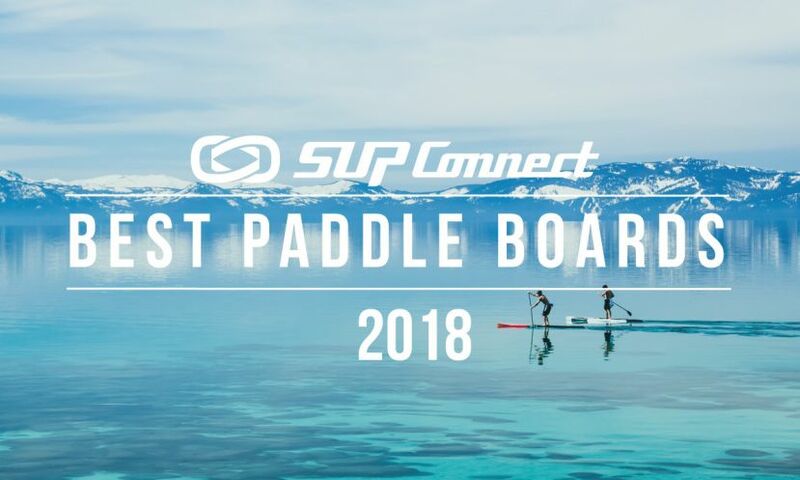 Its strong, lightweight construction combined with the ability to paddle some distance makes the Sport deserving of Supconnect’s “A” grade. Read more HERE. About the board: The Touring Zen is an inflatable board great for paddlers of all skill levels. Primarily designed with touring in mind the board is great for paddling mid-range distances up to 3-5 miles max. It has some nice looks with a mix of bold colors, blues and greens that are very eye-catching. This paddle board is easy to carry being that it weighs slightly over 23 lbs and the glide feels fast which is very surprising since inflatables aren’t usually fast. The board comes with a tool-less FCS II fin which is a perk and also has an FCS adaptor on the deck of the board which is unusual to have on an inflatable. 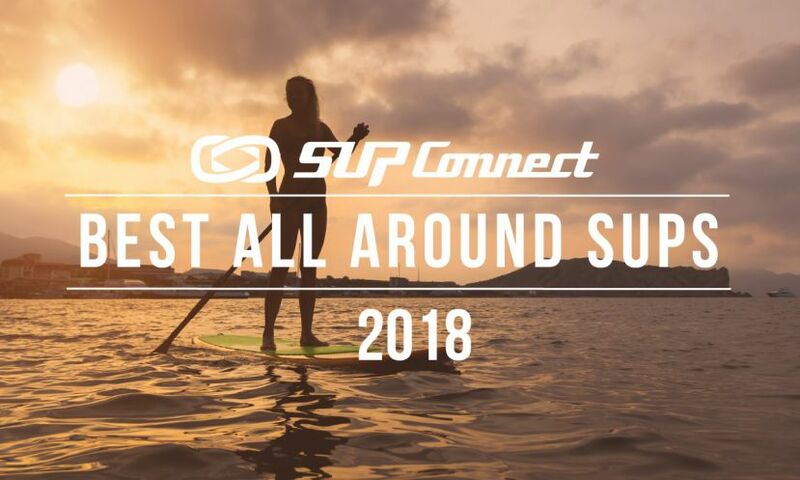 The board has premium features at an affordable price thus deserving Supconnect’s “A” grade. Read more HERE. Weight: 29.4 lbs Sizes: 10'6, 11'6"
About the board: The Moorea from Pelican is a non-inflatable, beginner board that is available at some of the lowest price-points in the market, but packs tremendous value with beautiful graphics and an all-around great package. It naturally misses some of the features of intermediate, advanced boards, such as faster glide and lightweight construction, however, at its very affordable price point this board offers great value and is one of the best that you can get, meriting it Supconnect’s “A” grade. Read more HERE. About the board: SIC Maui’s award-winning Bullet is a multi-purpose, non-inflatable board great for intermediate and advanced paddlers. The graphics are simple yet stunning and give the board a premium look. Because the board is 27 lbs it’s borderline-difficult to carry however the EZ grab handle makes carrying much easier because you’re able to fully grip the handle. The board is great for downwinders, touring and even racing, making it very versatile and fun. Premium looks and feel combined with a variety of conditions that it works in warrants the Bullet Supconnect’s “A” grade. Read more HERE. About the board: The Expedition is a fast, non-inflatable board geared towards advanced paddlers who want to invest in a touring/expedition board. It has some gorgeous looks, coming with an exceptionally beautiful play on color and graphics, intended to be potent and yet with class. It’s relatively easy to carry and has a couple cool features incorporated: the GoPro mount located on the nose as well as bungee inserts on both the tail and nose. This paddle board is easy to carry and the glide feels fast, which is great for expeditions. 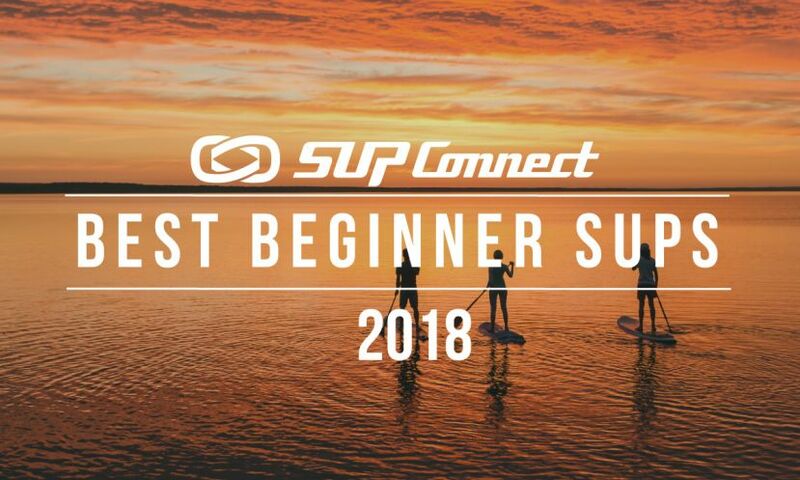 With its superior graphics and smooth glide on the water this board warrants Supconnect’s “A” grade. Read more HERE.